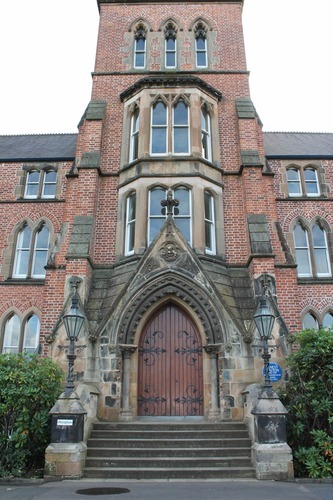 This Blue Plaque is hanging on the wall of the Methodist College in Belfast (1 Malone Road). 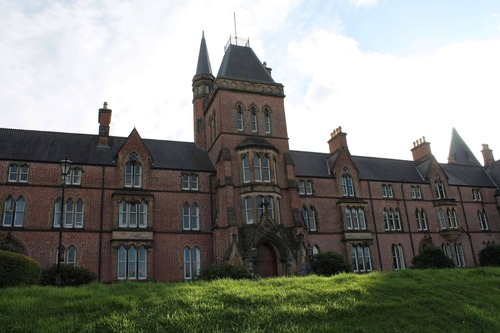 It remembers that Ernest Thomas Sinton Walton attended this College since 1915. 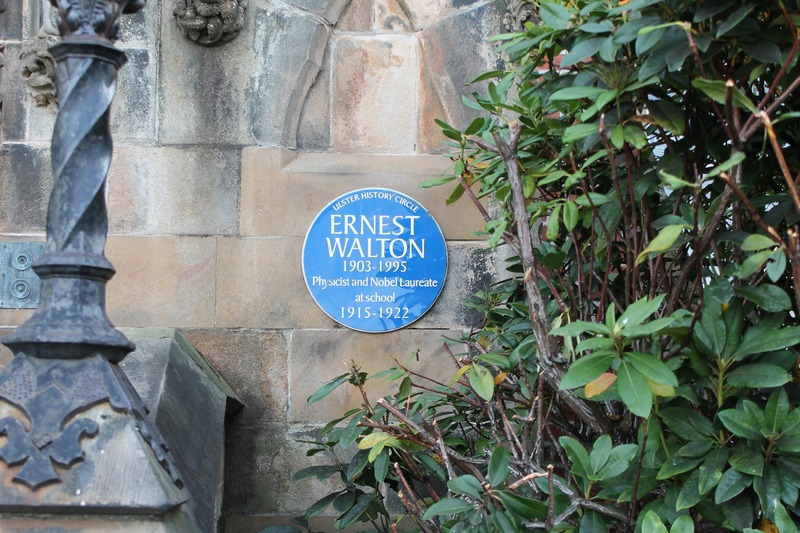 Here he excelled in mathematics and science, giving evidence of his propensity for these disciplines, that would have conducted him to be the only Irish Nobel laureate in Physics for the "work on the transmutation of the atomic nuclei by artificially accelerated atomic particles"1.